During the seventeenth and eighteenth centuries, the Ottoman Empire endured long periods of warfare, facing intense financial pressures and new international mercantile and monetary trends. The Empire also experienced major political-administrative restructuring and socioeconomic transformations. In the context of this tumultuous change, The Economics of Ottoman Justice examines Ottoman legal practices and the sharia court's operations to reflect on the judicial system and provincial relationships. 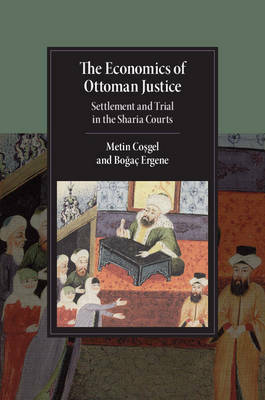 Metin Coşgel and Boğaç Ergene provide a systematic depiction of socio-legal interactions, identifying how different social, economic, gender and religious groups used the court, how they settled their disputes, and which factors contributed to their success at trial. Using an economic approach, Coşgel and Ergene offer rare insights into the role of power differences in judicial interactions, and into the reproduction of communal hierarchies in court, and demonstrate how court use patterns changed over time.